This course is for Experienced Life and Health Producers (those who have been continuously licensed for 25 years or more prior to the start of the biennium reporting period, or those who hold a professional designation), and who are licensed to sell Long Term Care insurance. The student will have a total of 12 hours of instruction in the required areas of ethics (3 hours) and 4 hours of Long Term Care (3 hours minimum). 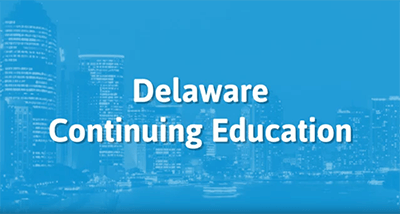 It then also provides another 5 hours of electives in the areas of Medicare, Medical Plans, and Disability Income, for the 12 hours continuing education required by the Delaware Department of Insurance. The course begins with an ethics portion tailored for insurance producers and starts by defining the need for them in insurance today. We examine the ethical duties to clients, employees, and businesses. Finally we’ll list some actual regulations regarding ethics, and actual sample codes of ethics. The course then provides four hours of Long Term Care instruction for the renewal of LTC certification, wherein students will be provided an overview and examination of Long Term Care with regard to insurance. The class follows that up with a look at building LTCi policies for clients. The class moves from there into three short segments on Medicare, Medical Plans, and Disability Income with brief examinations of each one. During the course, there will in-text questions to quickly review what the students and has learned, which will be followed by a 60 question final quiz at the end of the class.